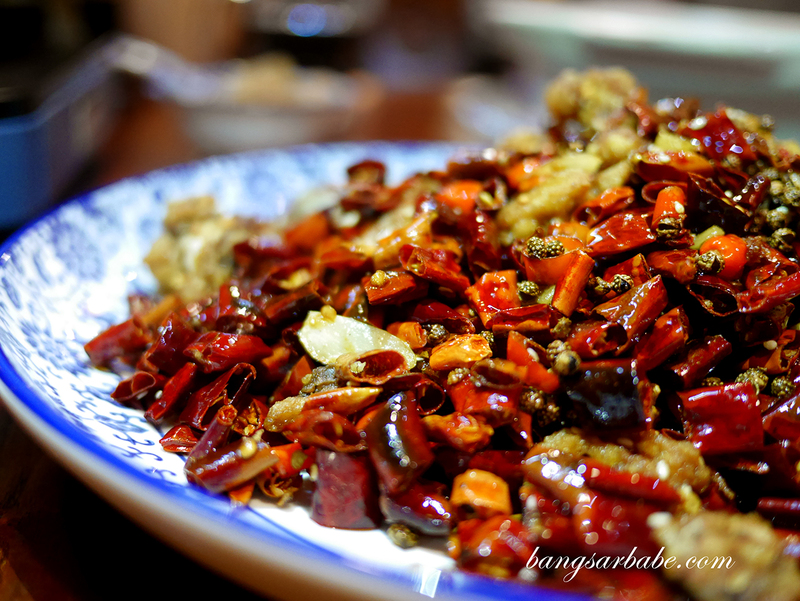 Sichuan cuisine happens to be one of my favourite cuisines when it comes to Chinese food – there’s something about the kick from peppercorn and dried chilli that keeps me excited and longing more. 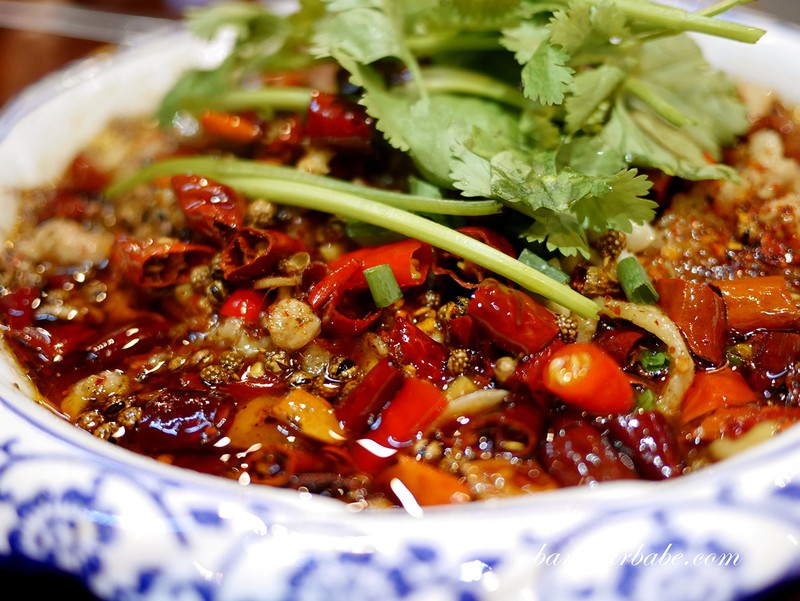 Several Sichuan restaurants have open in Kuchai Lama over the past few weeks and Restoran Sichuan Cuisine is one of them. 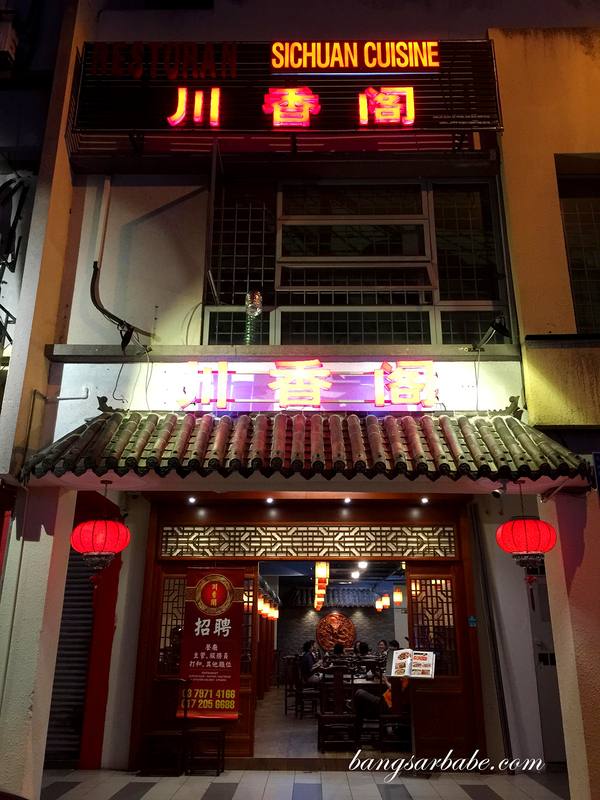 The signboard states Restoran Sichuan Cuisine, but on the menu, it’s Chuan Xiang Ge (川香阁 ). Not that it made any difference to me as I can’t read in Chinese. The décor is an attempt to being traditional – marble table tops, wood carved finishing and mural art that evokes that ancient China feel. 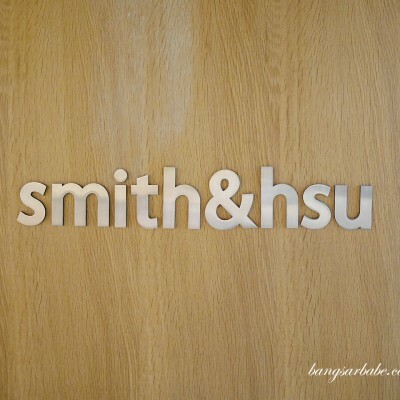 But I wasn’t there for the ambiance. The food is authentic Sichuan, so the lady proprietor claimed and I thought so too. 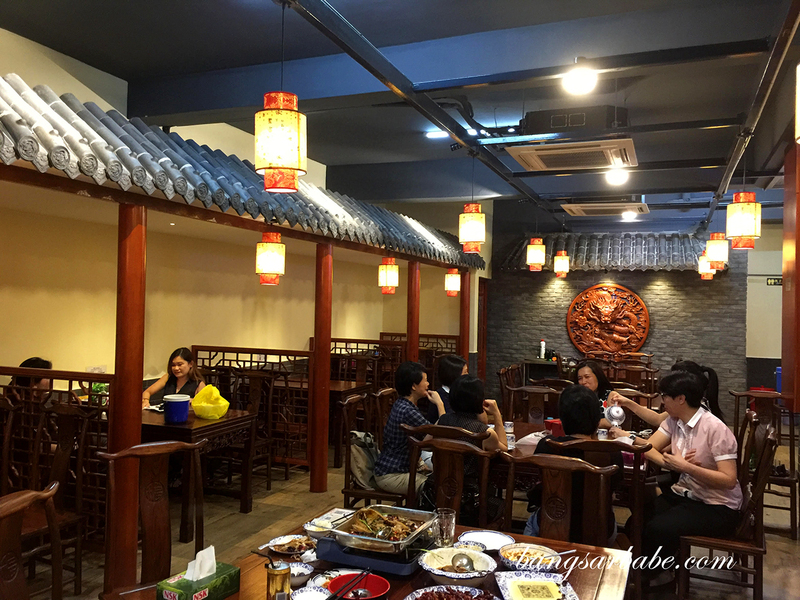 While it wasn’t as tongue-numbing or painfully addictive as TKS in Jalan Alor, Restoran Sichuan Cuisine felt more like a proper restaurant, rather than the tourist trap TKS has become. 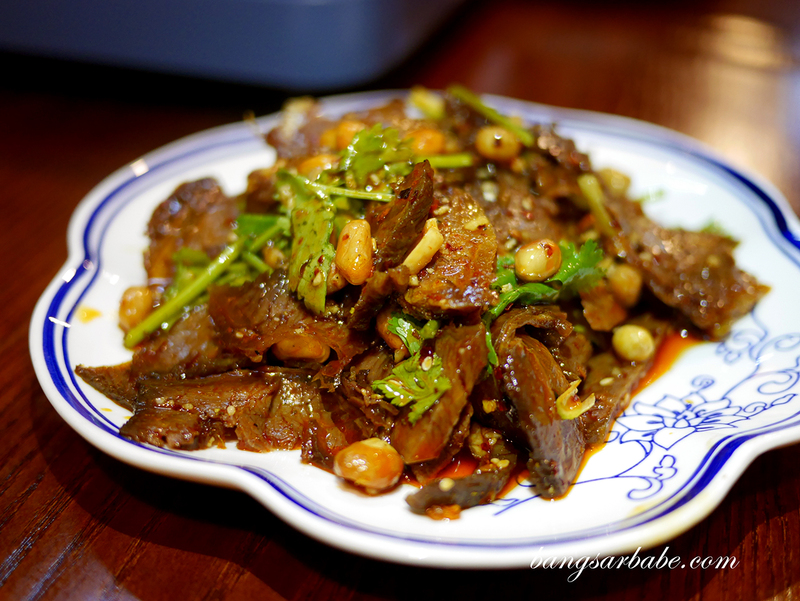 We ordered quite a few dishes to share that night, starting with the Sliced Beef Tripe in Chili Oil with Peanuts. This is served cold and features slivers of braised beef and beef tongue slices in chilli vinaigrette, and topped with plenty of cilantro and roasted peanuts. 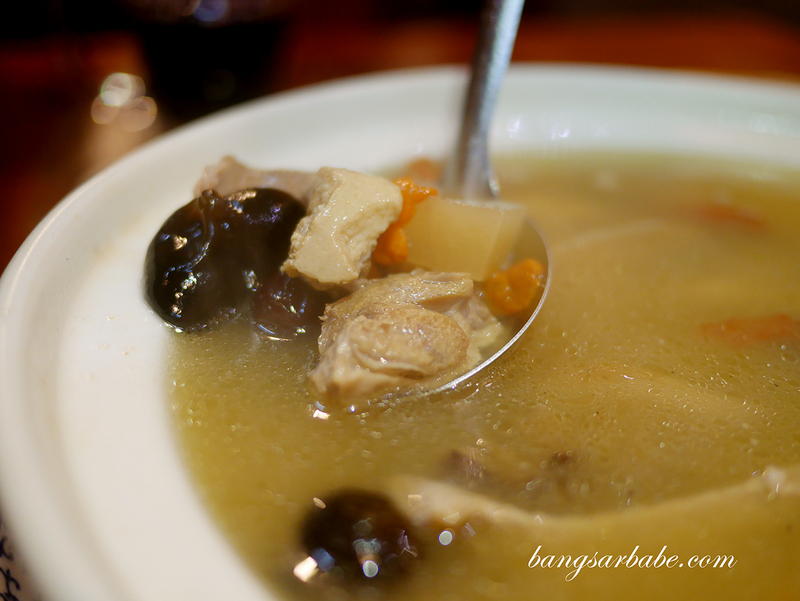 I liked the Sichuan Duck Soup (similar to Itik Tim) where the broth is prepared using preserved vegetables, radish, Chinese herbs and duck pieces. 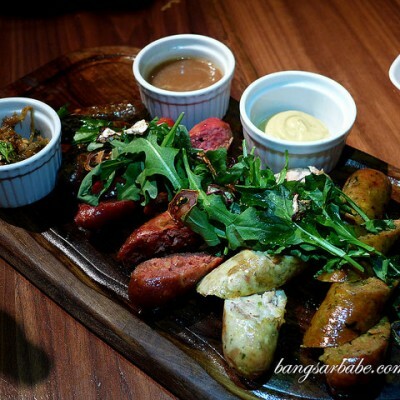 This was savoury, tangy and not at all spicy – perfect during cold weather, I reckon. Restoran Sichuan Cuisine’s version of Chongqing-style dry-fried chicken with dried chillies and peppercorn was pretty good. You get a decent amount of chicken pieces, deep fried till the meat is crisp on the outside and chewy at the centre. This was tongue-numbing but insanely addictive! You’ll only regret indulging in this the next morning. 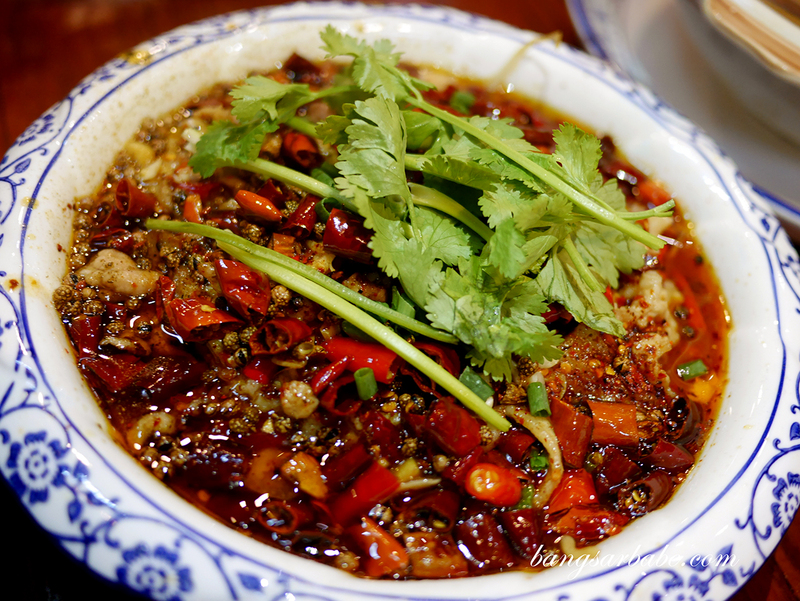 Shui Zhu is a dish made of broth, fermented bean paste and a lot of chilli oil. 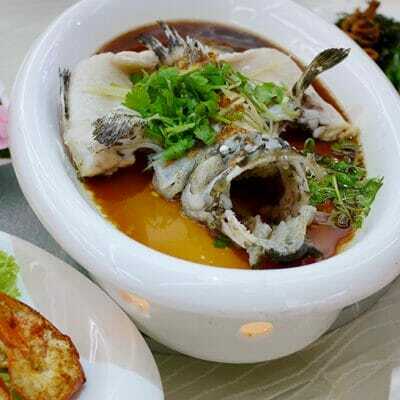 It translates as water boiled – a Sichuan specialty – and you get to pick between fish, beef or pork as the meat base. I like mine with pork as I feel the meat is most tender via this cooking method. I had a second helping of white rice just because of this dish. 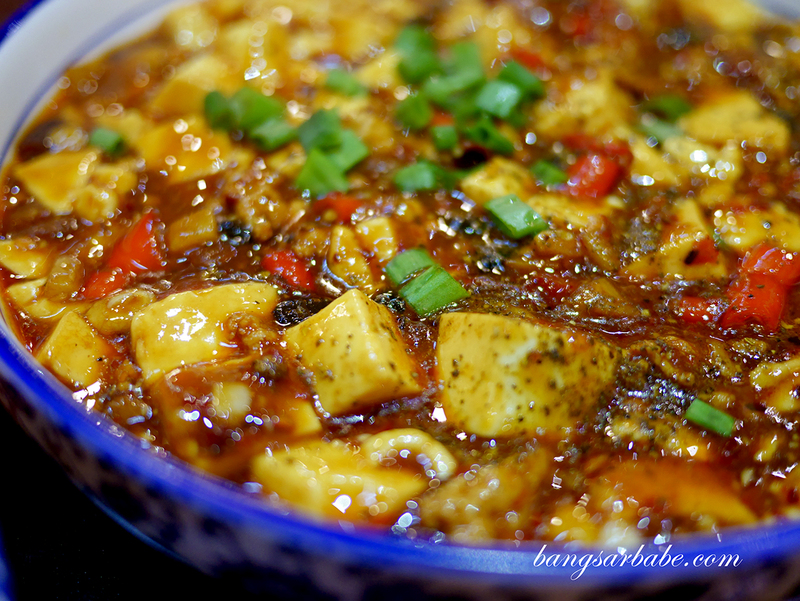 The mapo tofu at Restoran Sichuan Cuisine is by far one of my favourites as it was simple but soul-satisfying. There was a good balance between the peppercorns, chillies and fermented bean paste, which flavoured the white tofu and minced pork nicely. 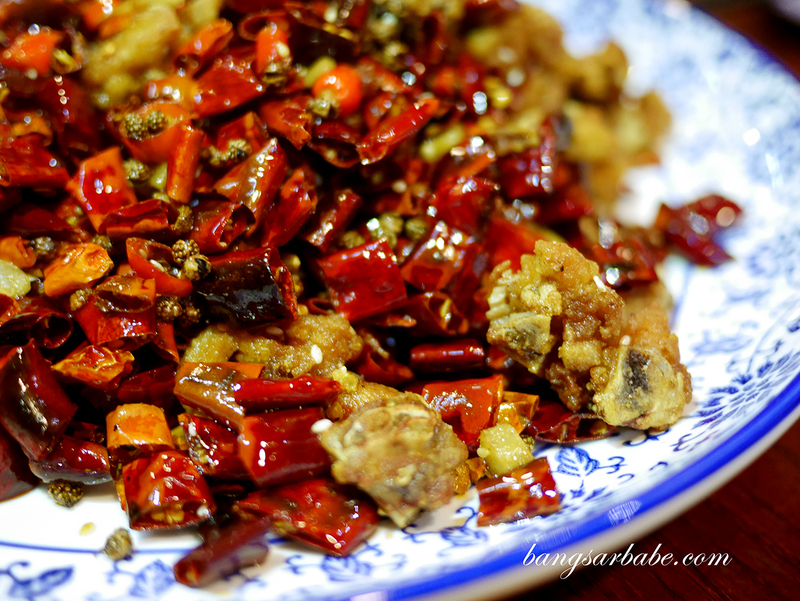 This isn’t as spicy as the other Sichuan dishes but rather, you get a sweet layer beneath the spicy first bit. I first tried this Chongqing roast fish (kao yu) in China, where the fish is baked and then charcoal-grilled so the skin becomes crispy. The fish is then placed on a tray and cooked with condiments before hot oil and chilli is poured over. This looks spicy, but tastes milder compared to the shui zhu. You get sweet, tangy and spicy notes in this dish. 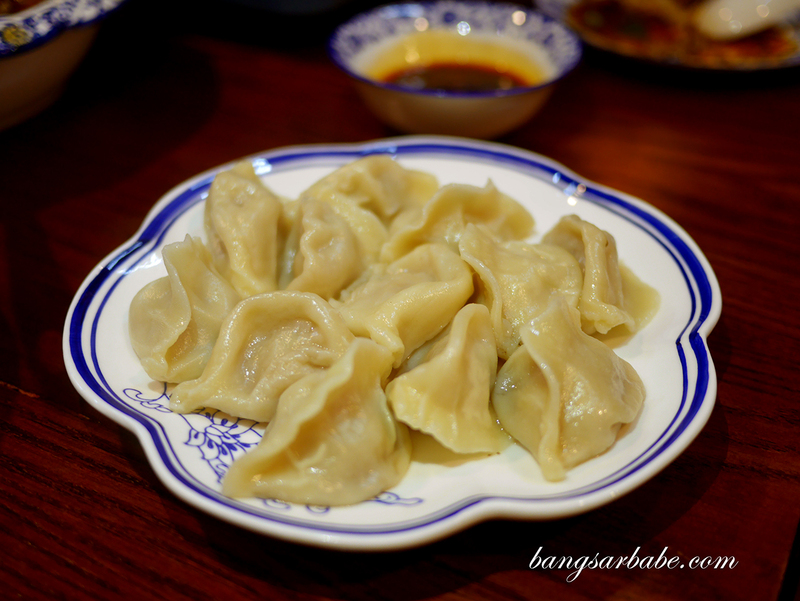 Boiled dumplings are a must when I eat Sichuan food; I like mine pan-fried at the bottom so you get a bit of crispiness to contrast the soft dumpling wrapper. 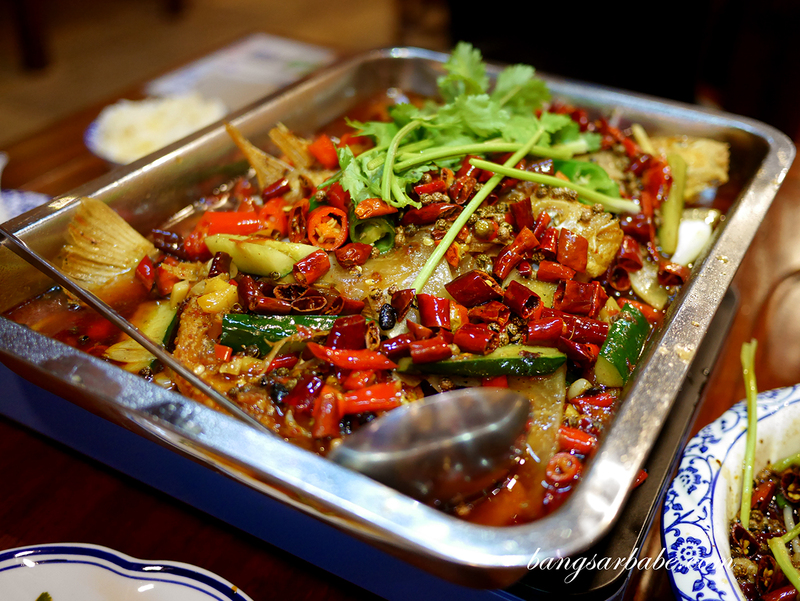 We had it boiled entirely at Restoran Sichuan Cuisine, served with chilli oil for extra kick. I found this average as the skin was a tad thick, and the minced pork filling didn’t wow me. 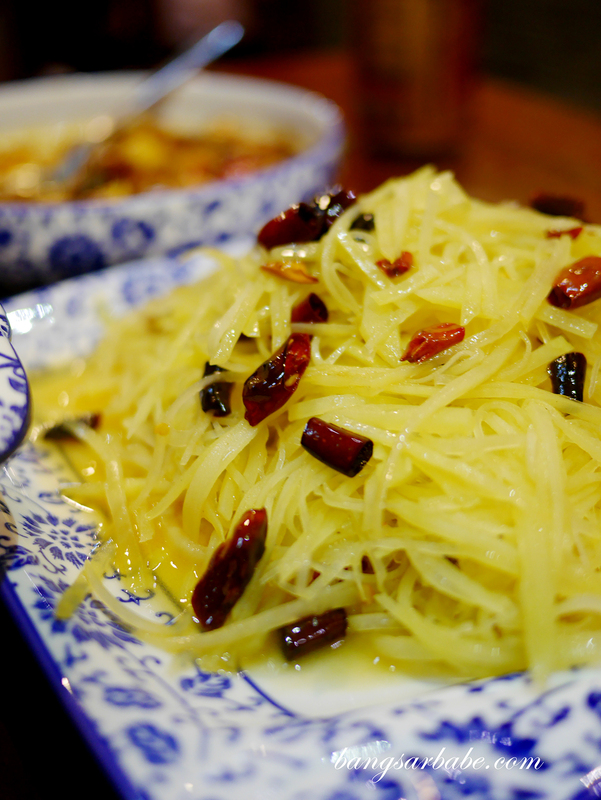 The hot and sour potato (醋溜土豆絲) is a must-have when you’re eating a Sichuan meal – it is also one of my makan kaki’s favourite dish so ordering this is inevitable. The potatoes are julienned and soaked in salt water to remove the extra starch. This was crunchy (like a very al dente pasta) and the vinegar, sugar and peppercorn gave it a light yet spicy flavour. Verdict: I found the dishes spicy but just as flavourful.